Read Adam Frazier’s review of this film from May here. X-Men: Days of Future Past is the X-Men movie I’ve dreamed of since my youth, back in the day when I mowed lawns during the dog days of summer to save up enough money to buy the latest X-comics off the shaky wire racks at my neighborhood 7-11. Those were the days when the comics were written by the great Chris Claremont and drawn by his gifted artistic equal Jim Lee and Future Past is the closest we’ve come yet to having a motion picture that brings those bold emotions, visuals, and outrageous “only in the funny books” style of four-color storytelling to explosive life. As the late, great Mickey Newbury once sung, the future’s not what it used to be. The world has long been ravaged by a war between an alliance of mutants and sympathetic humans and the relentless robotic mutant hunters the Sentinels. Professor Xavier (Patrick Stewart) and his X-Men are now the last remnants of the resistance and every day their numbers get lower. Kitty Pryde (Ellen Page) and her ability to project a person’s consciousness back in time has helped give them a slim advantage in the ongoing battle and that power must now be used to send someone back to the point in history when the war became unavoidable: the assassination of Sentinel creator Dr. Bolivar Trask (Peter Dinklage) at the hands of Xavier’s former friend and surrogate sister Mystique (Jennifer Lawrence) in 1973. In December, IDW Publishing released the Star Trek Annual 2013, where comics great John Byrne had the Star Trek universe boldly go into photonovel territory. The 48-page full-color issue, subtitled “Strange New Worlds,” which served as a sequel to the Star Trek: The Original Series television episode “Where No Man Has Gone Before,” turned out to be such a hit, that the publisher is turning it into a new ongoing bi-monthly series. 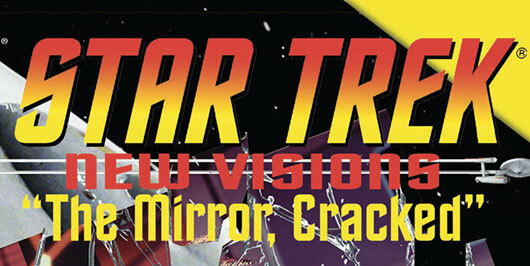 Titled Star Trek: New Visions, each extra-length photonovel issue will be created by Byrne, who reportedly will use more than just photo manipulation for the new series, which begins in May 2014 with Star Trek: New Visions #1 – The Mirror, Cracked, available for pre-order now. 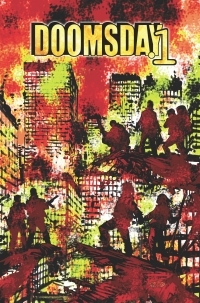 The first collected edition of John Byrne’s Doomsday.1 is out. 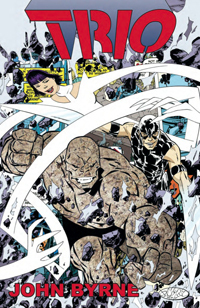 Included within are the first four issues of the Armageddon series. Does the book hold up in the vast array of post-apocalyptic stories? Find out below! Discovering that an unusually deadly solar flare on the sun’s surface will erupt and destroy the majority of life on Earth, the crew members of an international space station are forced to watch from above as devastation begins. Able to abandon their ship in time before the flare obliterates them as well, the surviving astronauts must learn to adapt to a ruined planet. As they seek refuge and other survivors, the group encounters various obstacles along the way — especially from other human beings. If you know comics you know the name John Byrne, the man behind some of the best comics runs in history. He built his reputation on books such as Uncanny X-Men, The Fantastic Four, and Superman in the ’80s. 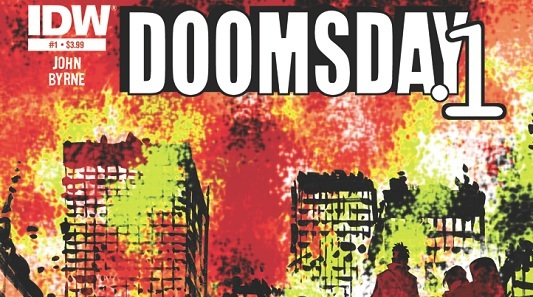 Now he’s got a new four-issue miniseries from IDW called Doomsday.1, set for release in May, 2013. Doomsday.1 is the story of seven astronauts who watch on from the International Space Station as Earth goes to heck in a hand basket. A massive solar flare knocks humanity down a few pegs, and the astronauts decide to make the trip back to Earth rather than waiting for their supplies to run out. 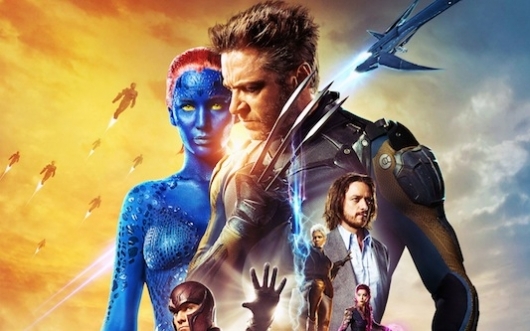 Losing previous director Matthew Vaughn – possibly to Star Wars Episode VII – has not slowed down development on X-Men: Days of Future Past one bit. Shortly after Vaughn’s departure Bryan Singer, a producer on the Vaughn-directed X-Men: First Class, signed on to direct his first X-Men film since 2003’s X2. Then just yesterday Singer confirmed that Patrick Stewart and Ian McKellen would be re-entering the franchise as the older Professor X and his friend and nemesis Magneto. One of the remaining question marks surrounding the casting of Days of Future Past would be whether or not Hugh Jackman would also be joining the ever-growing ensemble cast. He’s become the X-Men franchise’s star player and good luck charm so it should come as no surprise to anyone that Jackman is now in negotiations to return as Wolverine. John Byrne: The man, the myth, the legend. X-Men, Fantastic Four, Superman, Batman, The Avengers; Byrne has done it all and he’s renowned for his ability to create controversy when he takes on a popular franchise. With Trio, Byrne brews up a super-team up from scratch in the spirit of Bronze Age comics. Trio features, well, a trio of super-heroes. Amongst themselves they refer to each other as One, Two, and Three. One is a paper-thin woman who can stretch herself out like Plastic Man. Two’s superpower is that his arms turn into giant blades that he can use to deflect bullets. Three is a teenage boy who can transform himself into a Thing-like beast. The press refers to the group as Rock, Paper, and Scissors—a name the team seems uneager to adopt. The deal of the day over at Things From Another World today is the Hellboy Vol. 1: Seed of Destruction trade paperback for only $5.38 (that’s 70% off the list price of $17.95). Note – This deal is valid only for today, Monday, October 31, 2011, til 11:59PM PST while supplies last (and they will sell out, so hurry!). Visit the TFAW’s Deal of the Day page to view the hours left in the sale as well as quantities left on the item. 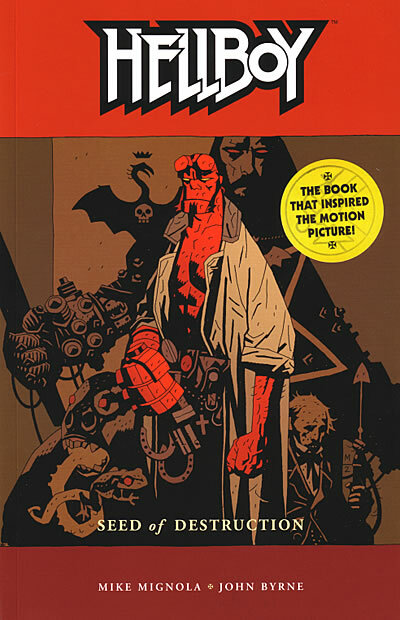 This trade paperback edition collects the Marvel comic book series Hellboy: Seed of Destruction #1-4 from the creative team of Mike Mignola, John Byrne, Mark Chiarello, and Matt Hollingsworth. If the deal, which is on the “nick and dent” version, does sell out before the end of the day, there’s a new version for $10.77, as well as a Hellboy Library Edition Hardcover that also includes the Wake the Devil run. WARNING!!!! Do NOT buy this comic unless you want to have FUN! I’m not sure just what I was expecting from this comic, but it went far beyond any and all expectations that I had for it. In spades. 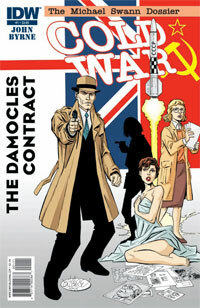 Cold War #1 opens with an incredible 11-page sequence that is really fascinating. The great thing about this book is that, while it’s clearly a spy genre, James Bond-type of comic, it doesn’t beat you over the head with it. 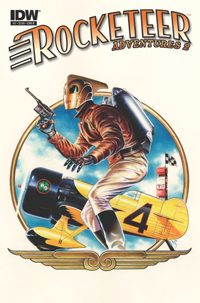 It’s not a direct homage to the genre, like Crossgen’s Kiss Kiss Bang Bang, but it has the spirit of the genre without blatantly ripping off James Bond trademarks like gadgets, scandalously named women, and witty one liners. It’s almost an undercover spy book. A covert undercover spy book. Good Lord, I feel like I’m in the “in-famous” scene in The Three Amigos movie. Those lovable Latinos over at Latino Review have some major DC news for us today. According to their sources, David S. Goyer himself will be writing the new Superman reboot film to be titled Man Of Steel. Superman Returns fans may not be pleased to know Bryan Singer and Brandon Routh will not be involved. 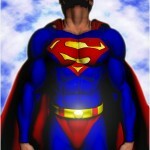 Goyer is apparently going for more of the John Byrne Superman feel from the 80’s comic reboot. This means it will not be an origin story and takes the stance that audiences already know who Superman is and where he came from. The studio wants to make Superman modern, believable, and most of all FUN! Brainiac is the villain so we don’t have to sit through another Lex Luthor real estate scheme (thank God). Also of note, the Daily Planet is struggling due to the internet and the film is setting up a huge Kryptonian mythology.